Criterion and Centrica had worked together for many years to develop online assessments for volume roles within the business, such as contact centre associates (sales and service), engineers, apprentices, and managers. 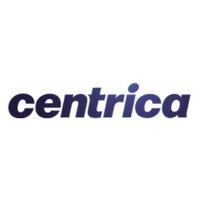 This project extended the scope of the online assessments to be delivered within Centrica for professional, leadership, and senior levels for both resourcing and development purposes. The new assessments needed to work across the three areas of the business: British Gas, Centrica Energy (CE), and Centrica. Each part of the business had its own values frameworks against which the assessments had to measure abilities, behavioural and emotional style, values, motivation and culture fit. In addition the assessments needed to measure a model of Potential being used across all three parts of the business, in both resourcing and leadership development processes. Three ascending levels of the leadership model also needed to be assessed for all three parts of the business: Leader of Self, Business, and Leaders. The challenge was to develop online assessments that managed the complexity of the different frameworks and levels using an elegant and easy to implement approach. We worked closely with the Resourcing team to establish their psychometrics needs in terms of the huge diversity of roles to be assessed, such as geologists, project managers, data specialists, etc. We also developed the interview toolkit into which, the results of the assessments would be passed to hiring managers to guide (and enhance the effectiveness of) their interviews and decisions. We worked closely with the L&D team to understand the three levels of their leadership model and its relationship with the three different values frameworks being used by CE, Centrica, and British Gas. We conducted a mapping exercise between these different frameworks, onto which we also mapped the Potential model. We also produced profile reports that would be used by both L&D professionals and participants in L&D processes to guide development, coaching, and feedback. We developed an elegant solution for the complex requirements of the project. Three levels of a bespoke personality questionnaire were developed to map against the three levels of leadership (Self, People, Leaders). The questionnaires increased in length as they ascended the three levels of leadership. All three levels of personality questionnaire generated profiles against the three different values frameworks used across the different parts of the business. This was done by combining the results of each level of questionnaire in different ways for each of the values frameworks. The result was a total of three questionnaires to be used against the three levels of leadership by all parts of the business, the results of which would be reported in the framework and language of the target business and level of role. Each questionnaire can be used alongside a verbal and numerical critical-reasoning test, the results of which are combined into the Potential profile for the individual. These are used within L&D interventions, as well as recruitment processes where future stretch into more senior/complex roles was important. The psychometrics used generate an interviewer guidance report, which combined interviewing tips, structured questions specific to the level of role and part of the business, alongside personalised interview questions based on the values and Potential profile for the individual. The psychometrics also generate candidate feedback and development guidance reports for individuals embarking on L&D interventions. A detailed profile report is used by resourcing/L&D professionals to guide deeper interpretations (and also includes an Emotional Style profile). In combination with the assessment developed for volume resourcing processes and ad-hoc bespoke assessments delivered by our online psychometrics platform in response to very specific needs, we now provide psychometric assessment across the breadth of the organisation.